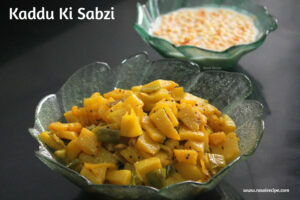 Today’s recipe is ‘Kaddu Ki Sabzi’. 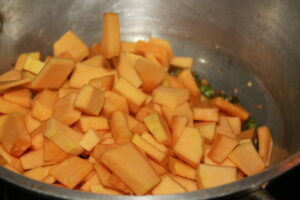 Pumpkin is a very nutritious vegetable. It is loaded with the goodness of nutrients and Vitamin A, C, E and K. Pumpkin is good for immunity, heart, hair, skin and eyesight. 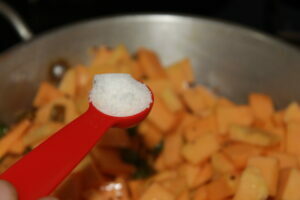 I am sharing a delicious and easy recipe to help you serve this super vegetable to your family. 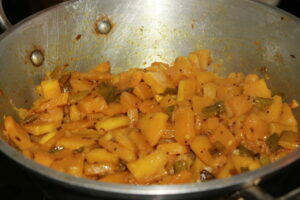 pumpkin, green chilli, garlic, mustard seeds, cumin seeds and few easily available spices. 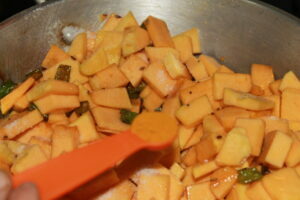 This dish goes really well with raita and puri/paratha. You can also pack this in lunch box of your kids. Kaddu ki sabzi goes really well with poori als. 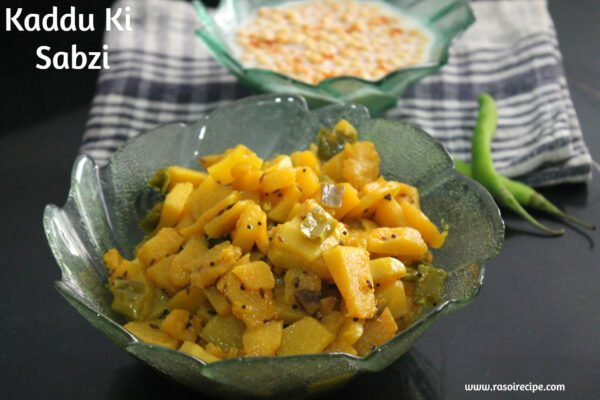 Kaddu ki Sabzi | Spicy Pumpkin Recipe - A delicious and easy recipe of pumpkin. 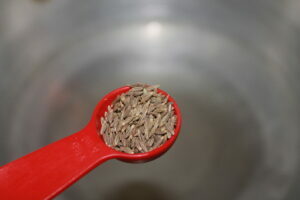 Wash and cut kaddu in thin slices. 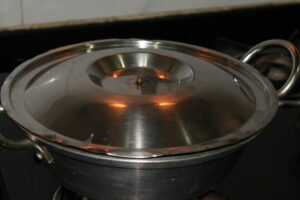 In a deep pan/kadhai, heat oil. 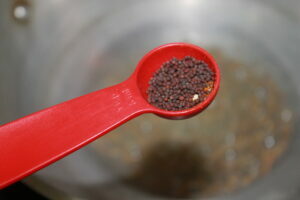 Add mustard seeds/ rai and cumin seeds/jeera in the kadhai, let both splutter. 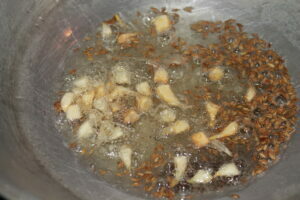 When mustard and cumin seeds start spluttering, add chopped garlic and fry till they turn golden brown. 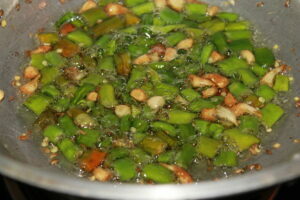 Next add green chillies in the kadhai. Fry it for few seconds. Now add pumpkin. Mix well. 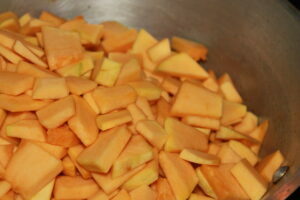 Add turmeric powder and salt. Mix well. 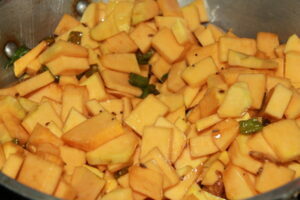 Cover and cook till pumpkin is perfectly cooked and start releasing oil. 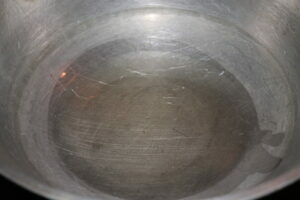 Serve hot with chapati and boondi raita.